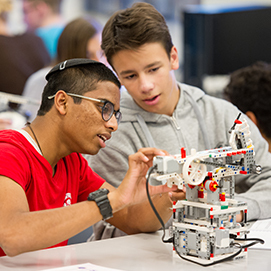 The Anières Elite Academy Program is an educational curriculum of the World ORT organization which prompts STEM studies in cooperation with the Na’aleh program of the Ministry of Education, the Jewish Agency, the Technion, and the WIZO Nahalal Youth Village. The program aims to locate and train Israel’s future generation in science and technology. In 1947, the ORT Central Institute, an exclusive educational facility, was established in Anières, a small town in Switzerland near Geneva. This was during the period following the Second World War, and the goal was to rebuild Jewish communities. Teachers and management teams from all over the world have been trained, in Anières and have returned to the World ORT institutions in their countries to educate future generations. In its 50 years of activity, in addition to being a learning center for generations of Jews, the program has also led the field of innovation. Over the years Anières graduates have grown to spearhead science, industry, education, and technology throughout the world. To provide optimal learning conditions for outstanding students in the fields of science and technology, and to enable direct continuation from high school to B.Sc. 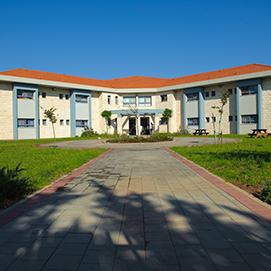 studies at the Technion, subject to compliance with the conditions of acceptance. To address Israel’s shortage of engineers, by training and integrating some 400 leading engineers into the high-tech and industrial markets in Israel. To bring together selected Jewish students to the program from around the world. Every year, the Anières Elite Academy program identifies students from Israel and around the world who are motivated, curious, and have extraordinary academic potential in science and technology. In addition, these students must have excellent social skills. 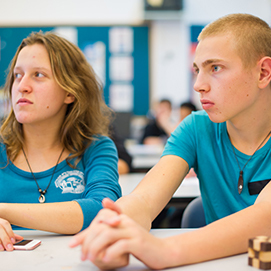 The course begins in the ninth grade at the WIZO Nahalal Youth Village and includes studies towards a matriculation certificate, with an emphasis on 5-unit mathematics, physics and software engineering. At the end of high school, the students who meet the entry threshold requirements continue to study for a B.Sc degree in engineering at the Technion. These studies take place within the track of the IDF’s “Academic Atuda” (Reserve) on a four-year program.